Hey everyone! Today I have another Barry M collection to show you, this time the Royal Glitter collection, which is a collection of textured glitters. These are just like the OPI Liquid Sand polishes, but much much cheaper, and definitely a great alternative for those who don't want to spend too much! These polishes will be released on the 25th September in Superdrug and the 2nd October in Boots and will be sold for £3.99 each. First up is Dutchess* which is a gorgoues silvery-lilac glitter. Out of all the glitters this has the largest pieces of glitter, but I really like the effect it gives. This was 2 easy coats. I absolutely love this polish both with and without topcoat but I'm certainly curious to see whether it works as a topper as well. And last, but 100% not least, is my favourite of the whole collection, Countess*. 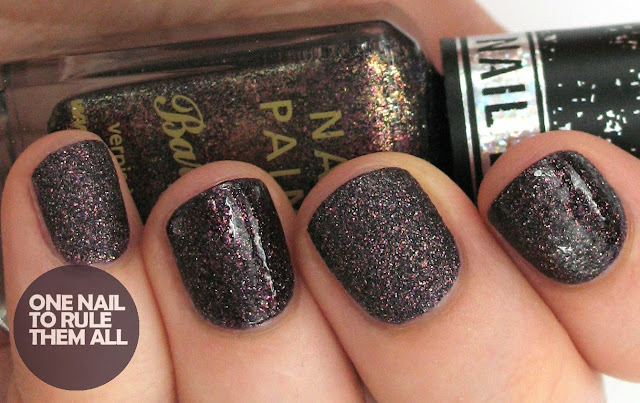 It's incredibly different to describe the colour of this polish because it shines differently in all lights, but it's easiest to describe as a dark purple with an amazing amount of glitter. Unlike the rest of the polishes (except perhaps Princess to an extent), this really comes to life with topcoat, making it seem like an entirely different polish. Overall I love these polishes and I would definitely recommend them, especially Countess. I know a lot of people have been wondering about removal. I normally use the PVA glue removal method for glitter, but I really couldn't be bothered waiting for it to dry this time so I just applied and removed these with my usual polish remover. It took a few seconds longer than usual but I didn't particularly struggle. That might just be because my (70p) remover is good, or because they're not too hard to remove, I don't know, but I certainly wouldn't let removal issues put you off buying these polishes. Ooooh I love all of these! LAdy and Princess are sooo gorgeous! They are stunning! 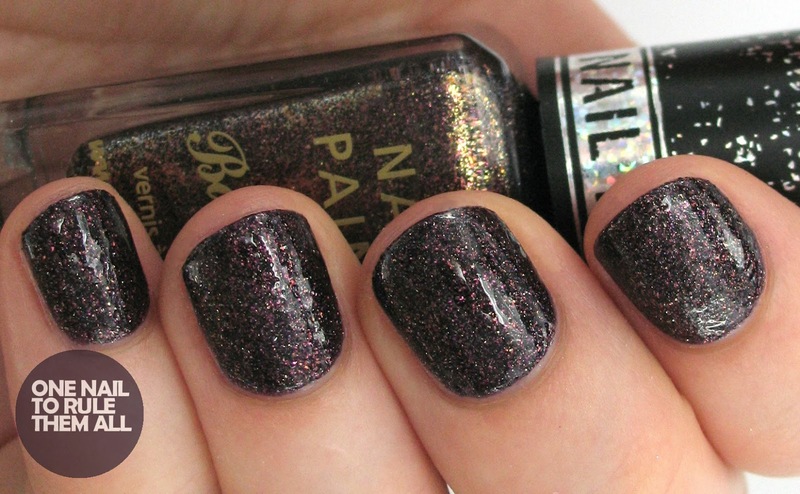 Barry M's nail polishes have been catching my eyes lately and this one is no exception either. Beautiful looking polishes, really impressed with this collection. 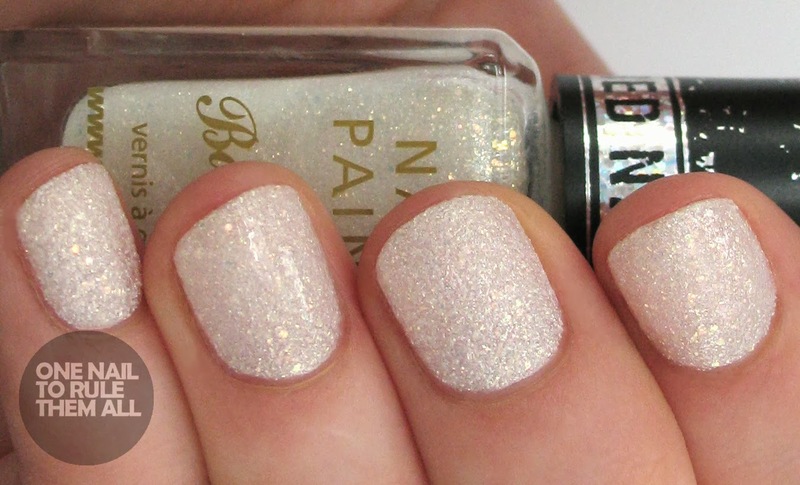 I'm not someone to wear textured nail polish but the shade Princess is so pretty!! I think I may have to purchase one. That's a good question, I'm not actually sure about the difference between textured and normal glitters, except perhaps that a topcoat usually transforms a textured one, and they're a lot more matte. They're definitely stressed to be a textured collection, rather than just a glitter collection by barry m. And thankyou so much! I wish I could have had more designs too but I guess it doesn't work like that, hopefully more people will buy them and then they'll ask me back next year :) Thanks for your comment, I also replied to your comment on my nail girls post! I just need all of them! I am in LOVE with Princess! Thanks for the swatches, I'm definitely going to buy! 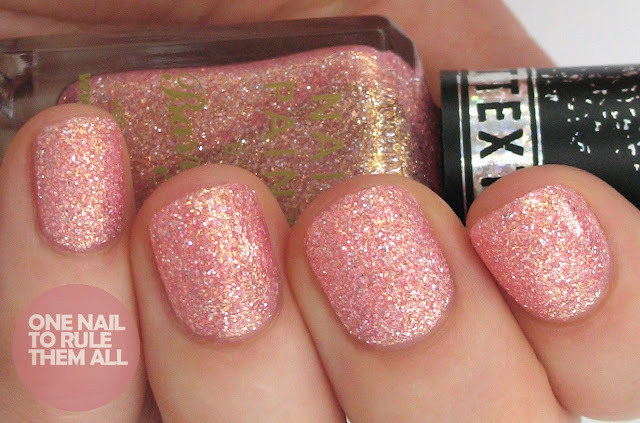 Where can I get these nail polishes. I'm in the US. Your post give such a good information about Cosmetics Store’s products and you sold their products at affordable price. I have Countless and I love it, but I'm not sure whether to wear it for this party with a royal blue dress or spilled milk by Topshop. What do you think? They’re a bit pricey but it’s totally worth it!